It’s never too early to mobilize! As contract negotiations with AT&T Southeast approach later this year, the CWA bargaining committee held a town hall conference call with CWA members across CWA District 3 to introduce the bargaining team members, provide an update on bargaining strategies, and to talk about ways to mobilize. 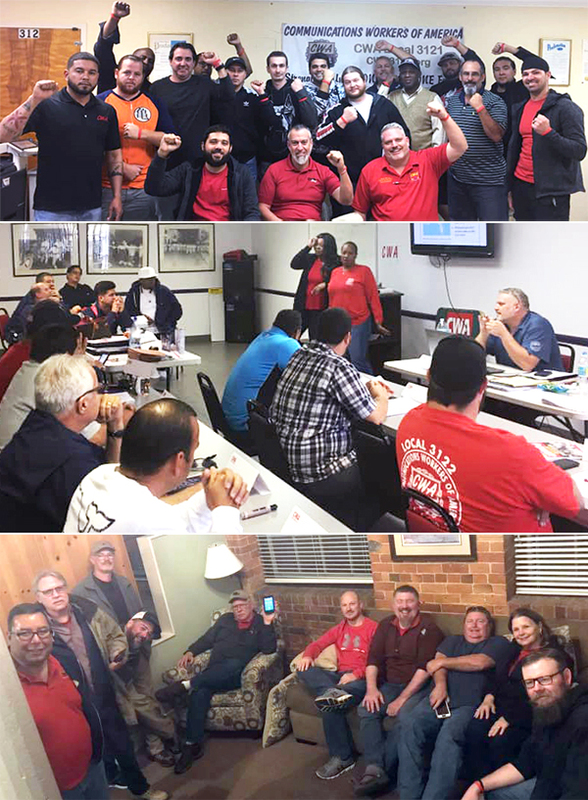 CWA members from Locals 3120 and 3121 (top), and 3122 (middle), participated in mobilization trainings as they prepare to show AT&T Southeast that they are ready to fight for a fair contract. Local Presidents who represent AT&T Southeast members in North Carolina gathered to listen to the town hall call (bottom). CWA Local 1109 reached a 4-year tentative agreement with cable television provider Altice in New York. The agreement extends job security provisions and provides contractual yearly wage increases for the bargaining unit.